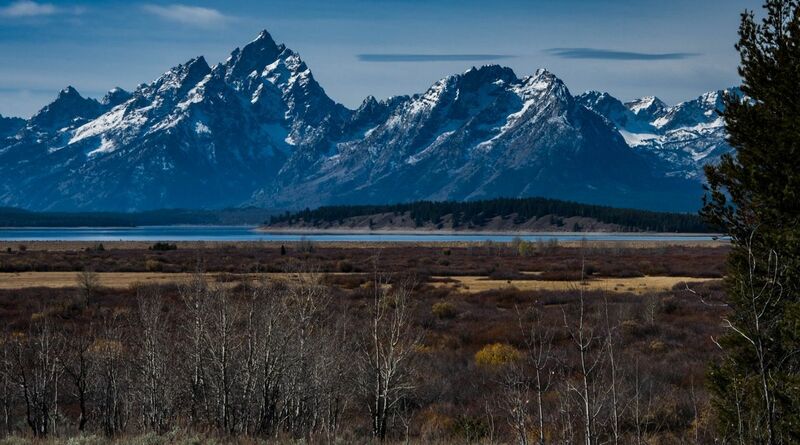 Between the jagged mountains, the beautiful landscape, and the incredible wildlife, the Grand Teton National Park might be the most beautiful place in America. Here are 7 of our favorite locations in the park (and how to get there). 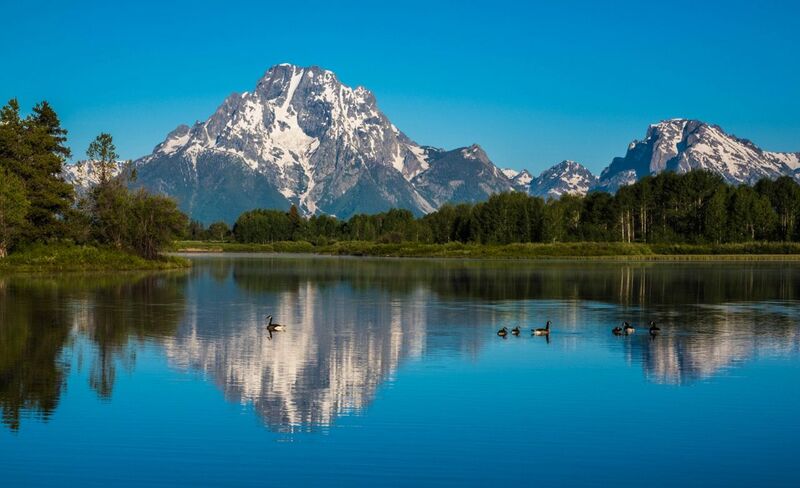 The reflection of Mount Moran in the bend of the Snake River is one spot you can’t miss. Oxbow Bend is just east of Jackson Lake. If you can time it to be there at sunset, you may catch vibrant colors in the sky also reflecting into the still water. Moose, birds and sometimes bears can be seen at this location. There are a number of trails at Schwabacher Landing where you can walk along the edge of the river. 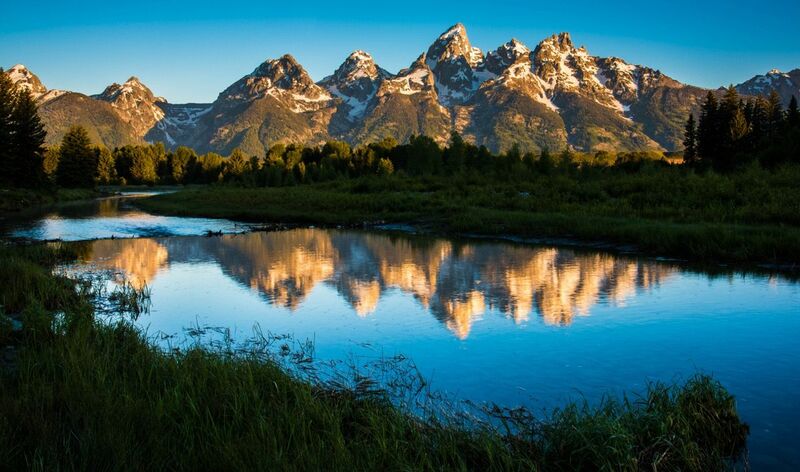 The slow-moving river is a great spot to catch a reflection of the Tetons. The trail at the main parking lot at the end of the road leads you to a beaver dam. 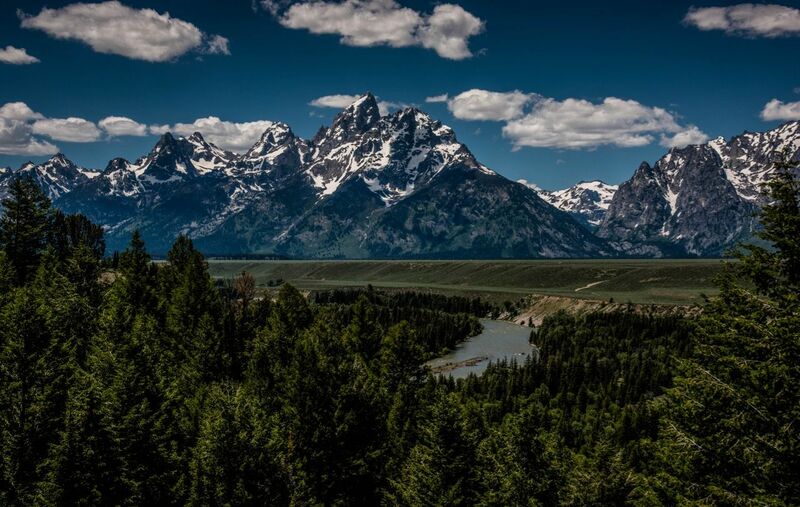 The Snake River Overlook is the spot where Ansel Adams photographed the bend of the Snake River over 70 years ago which brought attention to Grand Teton National Park. It’s located just off Hwy 191 between Moose Junction and Moran Junction. The Antelope Flats area is where Mormon settlers built their farms in the 1890’s. 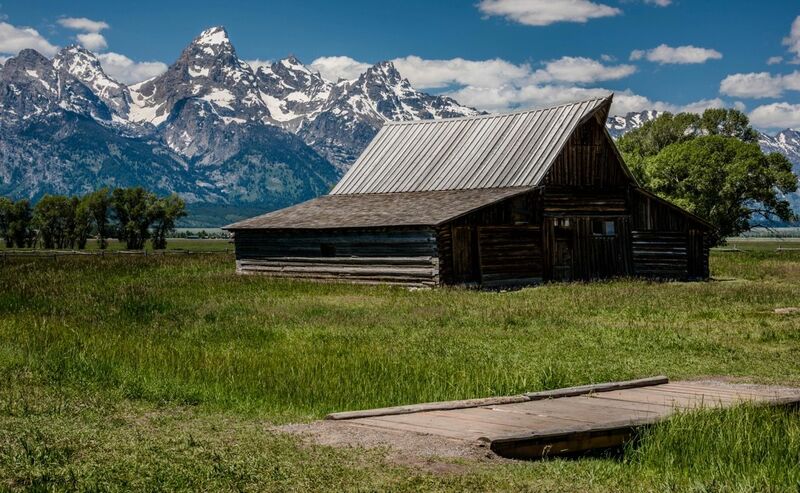 In the mid-1900s, Mormon Row was acquired to expand Grand Teton National Park and in 1997 the district was added to the National Register of Historic Places. 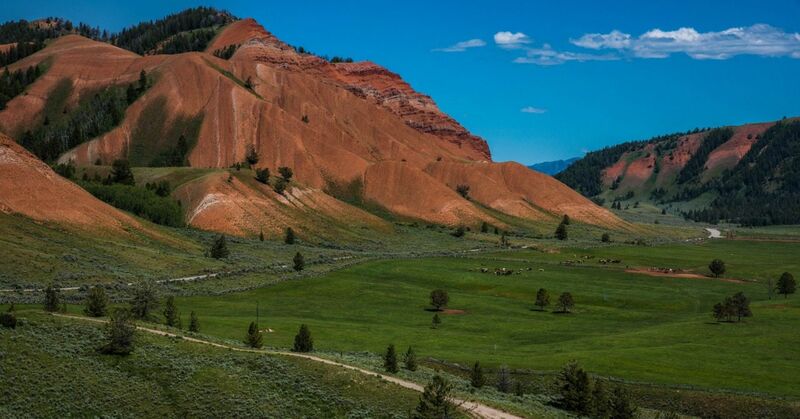 If you drive along Gros Ventre Road for about 10 miles, you can reach the striking Red Hills. The road takes you through the Bridger-Teton National Forest. At the base of the hills is the Red Hill ranch that produces top quality horses. Turn around and head back once you reach the ranch. There is nothing of interest past that point. 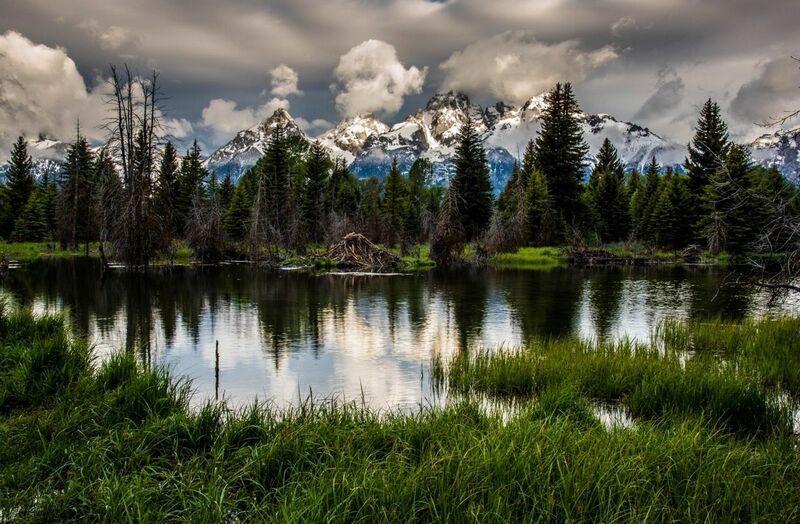 Most people who visit Grand Teton want to see wildlife, and especially bears. 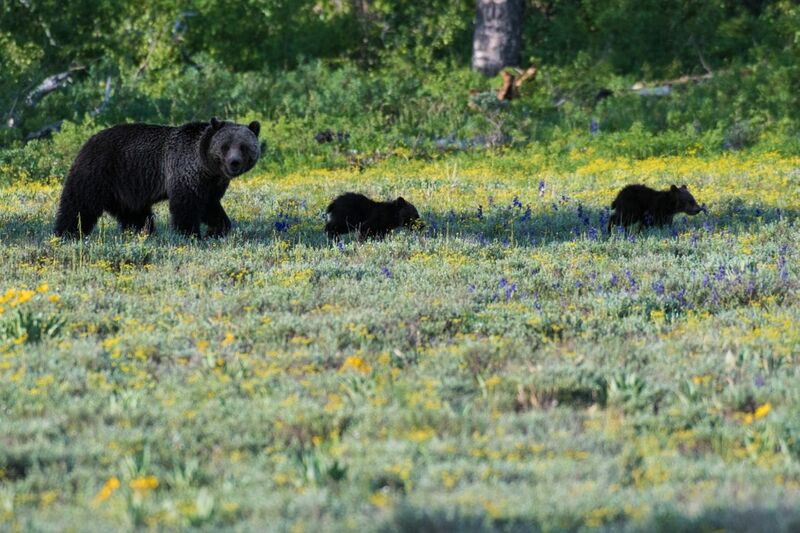 The area around the Pilgrim Creek Road is a good place to look for bears in early spring, usually late May to early June.Make sure you follow the guidelines for viewing wildlife at the park and listen to the rangers. When you stop to view wildlife, pull over in a designated turnout – do not stop on the roadway. Maintain a distance of at least 100 yards. Never feed or approach bears, elk, moose, bison and other animals you see in the park.